With the United States and Canada as neighbors as well as many people having moved to one or the other country over the decades, it is important to have family history resources for both countries. You never know when a missing ancestors from Newfoundland was in New York for a few years and then returned to Canada or a native from Michigan traveled to Ontario to eventually live. 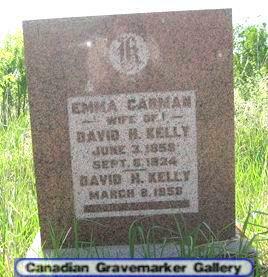 So now with the Rootsweb site there are nearly 900,000 Canadian grave site photos available online. This represents about 1,454 cemeteries across Canada, not all but many to assist in your family research. 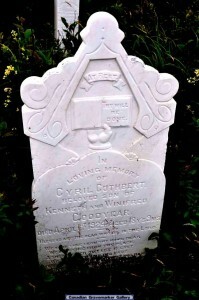 As you know the grave markers or headstones can contain some valuable information. The site has all the provinces and the territories, so all of Canada is covered. To start, select a province or territory from the group shown. It can be narrowed down them to certain regions, such as the East Coast region of Newfoundland. 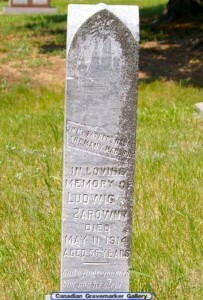 Then will be listed the towns and the links to those cemeteries with grave site photos. Remember to scroll down to see everything. Many times there is some additional information about an area. Searching by checking the provinces or territories first is easier that the general search engine on the site unless you are looking for a rarer surname. Common family names can be harder to find across the whole country, try by provinces first. 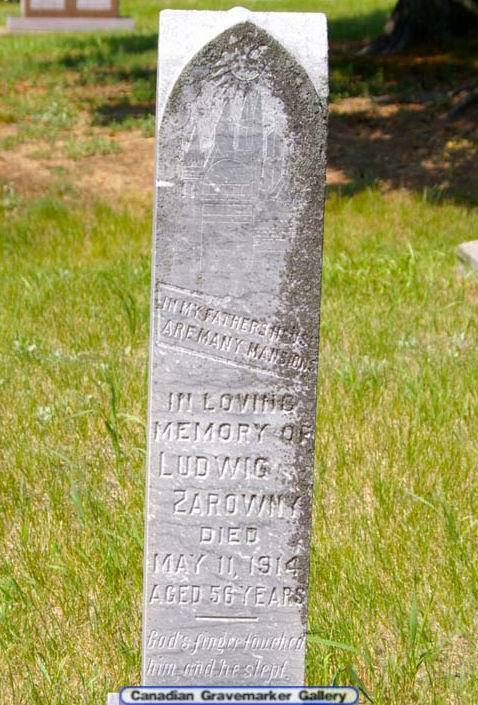 If you do locate a photo of an ancestor’s headstone, there is a thumbnail size first, which you can enlarge. The photos taken are very clear so you can read what is on each. You can right-click the image to save it to your computer. Some of the photos of grave sites are in very remote locations and more part of a family cemetery. Sometimes the photographer even took images of the surrounding family property, which is a real bonus. 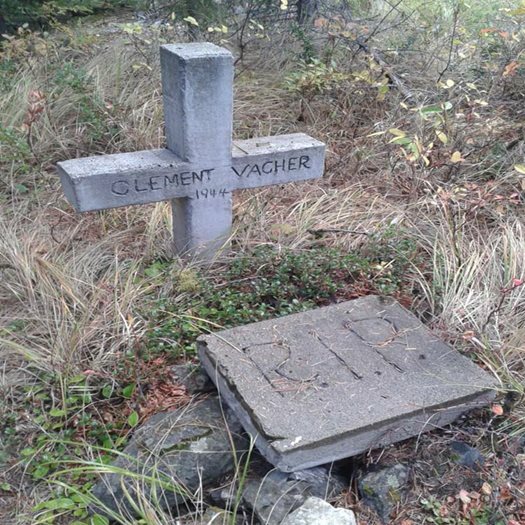 So any relatives in parts of Canada – this is a good place to check if they were buried there. 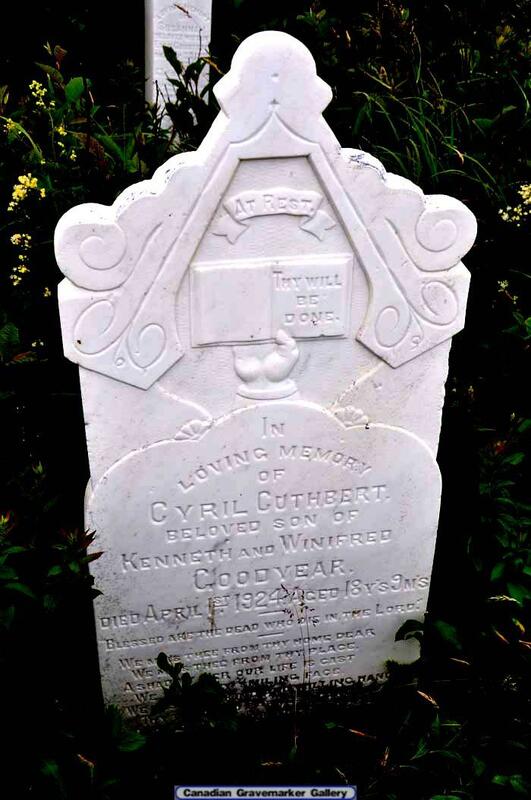 Photos: Headstone of Cyril Goodyear – 1924, Clement Vacher-1944, Ludwig Zarowny- 1914 and Kelly family -19th century.